Floral business is highly profitable but it is competitive also. To thrive in the floral industry, you need to compete with the hundreds of small and big enterprises. 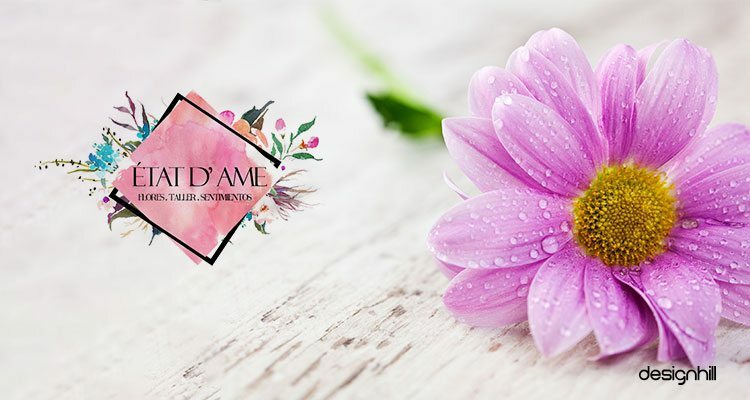 For this, having a clever marketing strategy that helps you in branding of your floral business is important and will become your key to success in reaching out to more customers. 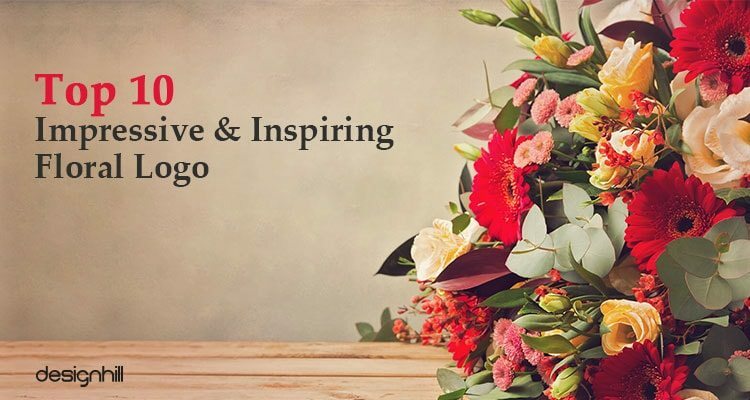 A beautifully designed floral logo is essential to create a brand identity for your business. Besides, it also attracts attention of customers and creates recognition for your business. There are several floral companies in the market and you have to compete with all of them. In the U.S, people spend $26 billion annually on floral products. Total value of cut flower sales in the country is $7.5 billion. There are 16,182 florist establishments in the U.S. Average floral sales per shop is $322,331. These stats give you an idea of the competition you are going to face in the market. So, be prepared to chalk out a marketing plan that works for the growth of your business. But most importantly, pay attention to your floral logo. Make sure that its design is unique and memorable. 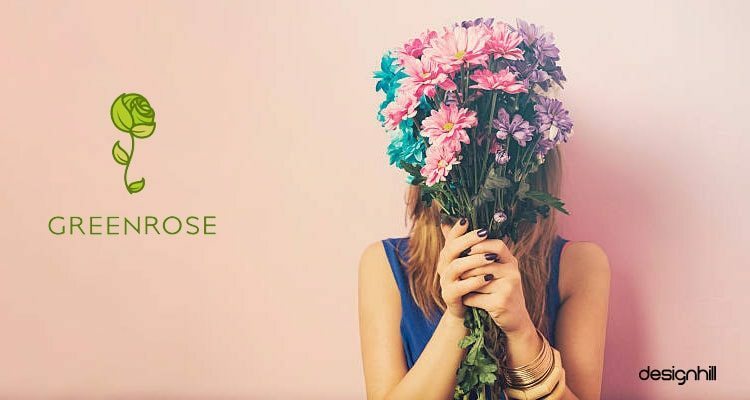 If you run a floral business, you probably know about the importance of having a memorable floral logo. A logo identifies a business in the best possible manner. By looking at the logo, people can quickly know which business a logo represents. But logo is much more than an identity mark. Most importantly, a cleverly designed logo has the power to leave a good first impression on the potential customers. 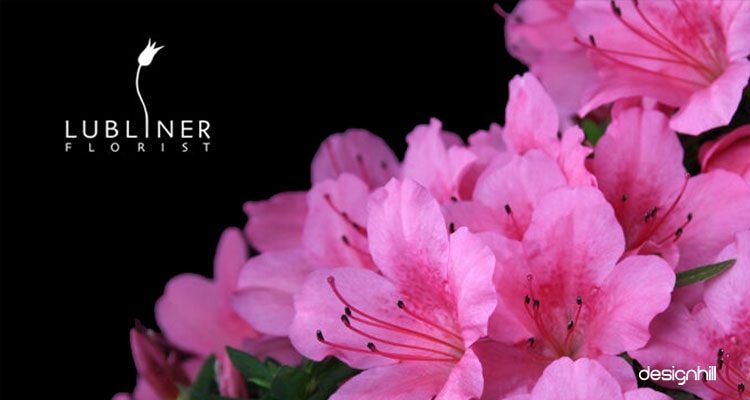 Your floral logo design must be such that it sends out right signals to your target audience. These signals should be about your business attributes. For example, you may intend to convey a message of happiness and professional services. In that case, the logo must have elements of typeface, colors etc to evoke these feelings. If you are a logo designer, first find out all about your client’s floral logo business and its goals. This will help you in targeting an audience by incorporating the right design elements. If colors etc evoke a feeling that is not the target of the client’s business, it is not considered as a good business logo. So, find out what your client’s business is all about. Beautiful flowers have long been a source of inspiration for many seasoned and aspiring designers from across the globe. Applying floral beauty as an element in the logo design has long been popular. Many designers believe that flowers are perhaps the cleverest means to signify sophistication, uniqueness and personality of an establishment. No wonder, a large number of logo designers use exquisite flowers as an element of logo design for floral shops. Flowers as an element also are used for other business like but also for many other publishing houses, gift shops, construction companies etc. 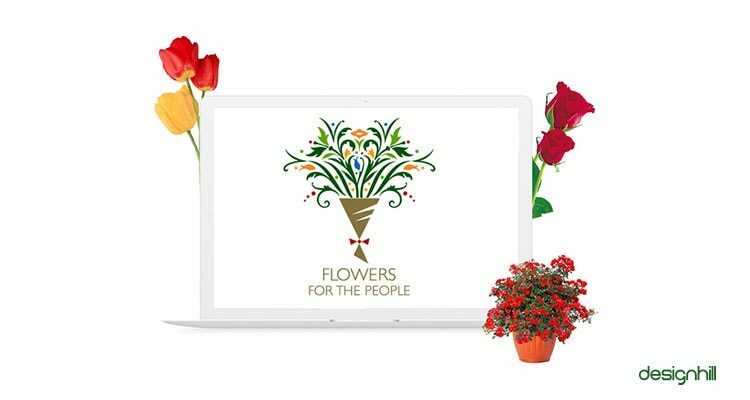 Flowers For The People logo is a beautiful design. It is in the shape of a bouquet. You can notice a bow tie also. This element indicates an occasion when bouquets are exchanged amongst the guests. The flowers and leaves are carved in simple yet classic style. This makes the customers feel special. The use of colors in logo design here is impressive as only three colors green, yellow, and brown are used. Greenrose logo is an impressive example of minimalistic designs. The designer created the logo using only a rose. To express the company’s name, the rose is in green color. This simple logo design is unique and memorable due to its unique concept. 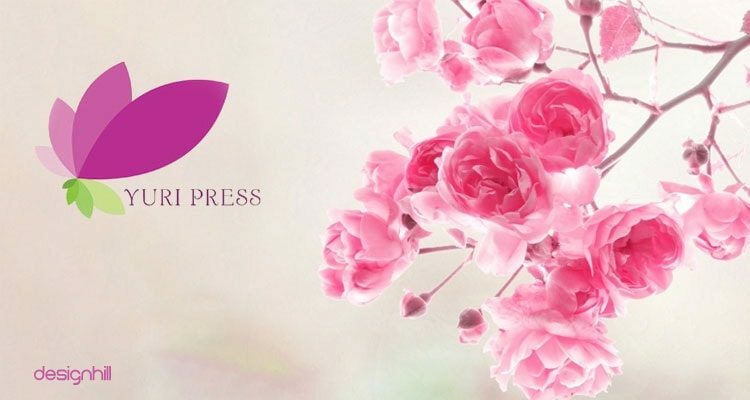 This logo of Yuri Press is attractive due to unique use of flower petals. The big petal in pink catches your eye immediately due to its size. The designer create the flower petal and green leaves in the same sequence of size. This makes it a memorable logo. Twigs Posies logo has a bunch of balloons with an extremely adorable bowtie shape. Use of balloons makes this logo stand out. Further, use of white color gives shine & peace to the logo. The designer used sans serif typeface to create a friendly environment associated with floral shops and gifts. The designer wanted a logo which has calligraphy in Gold. The company Blissful Blooms in its design brief said that they wanted their company logo in large font. Another requirement was that the logo should be in pastel earth tones colors. This logo keeps the brief in mind. There is a large font which is in handwritten style. A large image of flower in a classic style is also a key attractive element. This logo stands out for its yellow color too and a round shape in the middle. 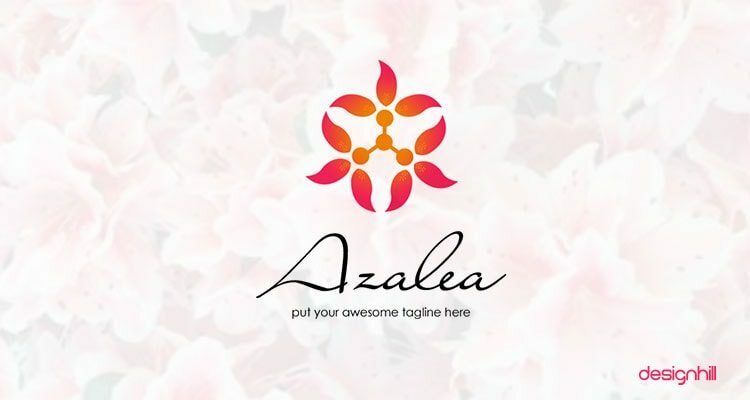 According to the client’s design brief, there must be “Azalea” flower in the logo design. It should resemble to the Edelweiss flower attached. This is an ideal simple floral logo that draws customers’ attention instantly. 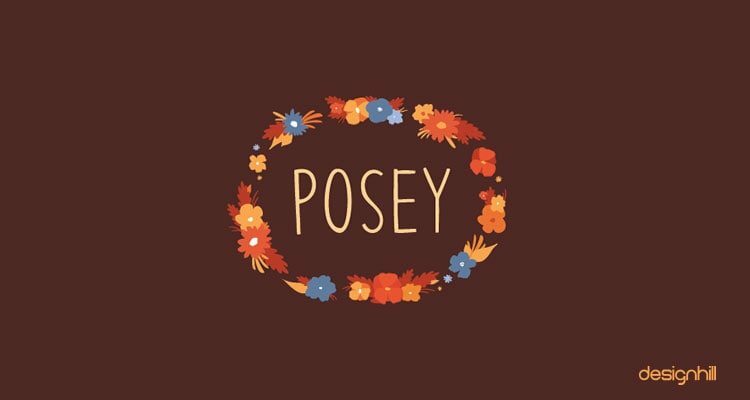 Posey logo is in a old classic garland shape. This shape gives customers assurance of quality floral products and services. There are many flowers used in this design, which evoke happiness and joy. This logo is an example of a minimalistic design. It has a basket as a symbol of shopping and two pretty pink flowers are there that can be bought from the shop. 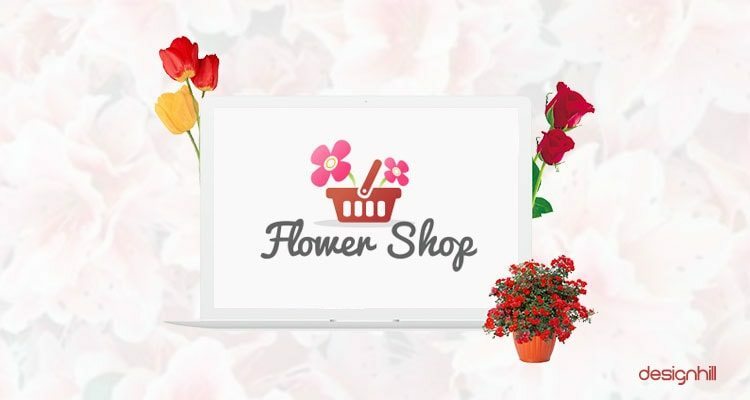 Logo looks beautiful and perfectly goes with the theme of the flower shop. This floral logo catches our attention instantly. Bright colors are used to catch the eye. Big typeface also draws attention towards the logo design and floral business of the shop. Black background and a bending flower in a classic style are key features of this logo. This floral logo is also an inspirational example of the use of typeface. This is a unique logo design for a floral business. It uses a dragonfly as a chief design feature. 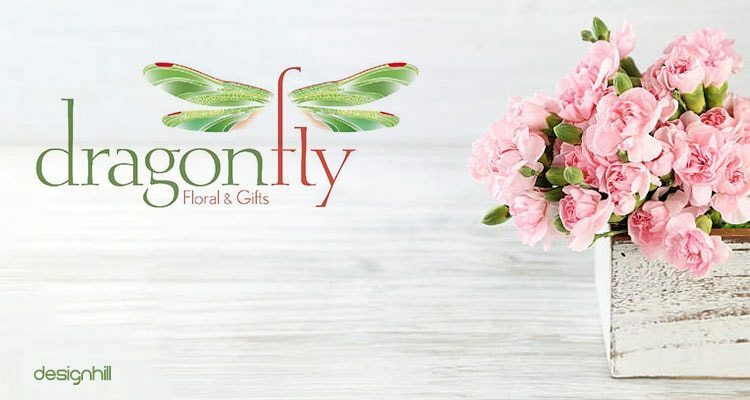 The floral shop name Dragonfly had to come in the design. But the logo catches the attention and stands out from the crowd. Use of red and green makes the logo even more attractive to watch. So, these are the inspirational floral logos that will stimulate your creative brain to come out with unique logo ideas. Make sure that you adhere to key design principles such as simplicity, use of unique concepts, avoiding stock images and cliched concepts and so on. Remember, that a logo design must be good enough to convey a brand message effectively. 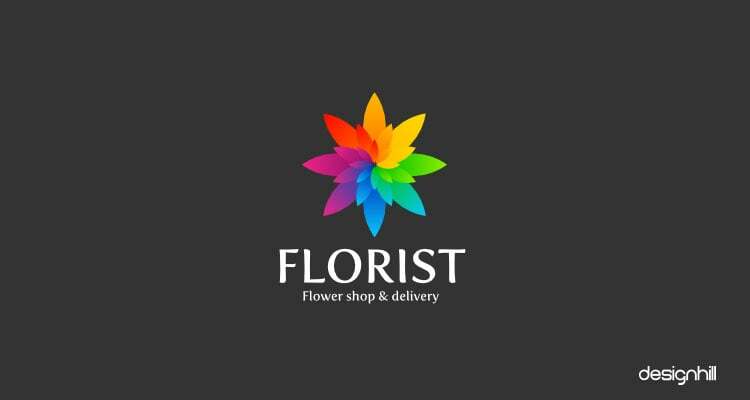 This floral logo is quite colorful, elegant and makes a stunning floral logo. 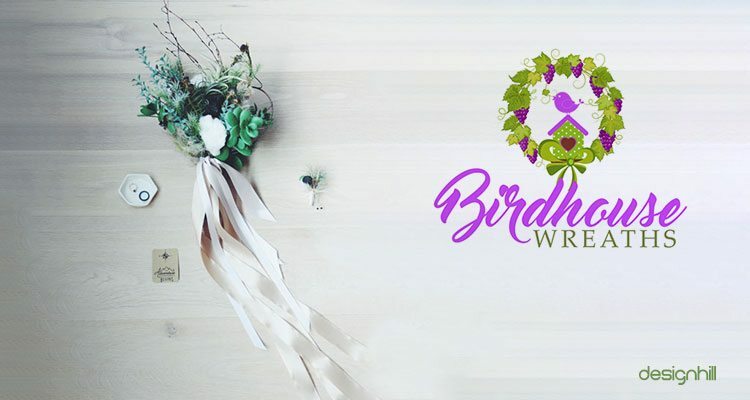 Logo design shows a wreath coordinated with lime green and lavender color that instantly catches the attention. Wreath also has a cute birdhouse with a tiny bird sitting on the top of it. 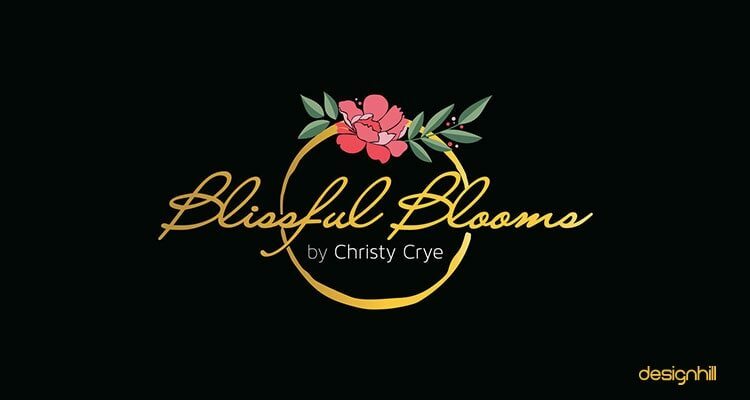 This floral logo looks cheerful, creative and goes with the theme of their floral business. The company has a floral business of seasonal wreaths that is very well reflected in the logo design. This floral logo displays name of the company in the center of logo design with bunch of colorful flowers in the background. Name of the company is written in french and the font used is quite contemporary and catchy. This floral logo is simple, subtle and sophisticated and goes with the concept of their business. I am sure the above -mentioned floral logo designs have given you some good inspiration. Each of these logo designs convey a brand message precisely. All of these logos are simple yet self explanatory so that viewers can get the essence of the logo and its message immediately.